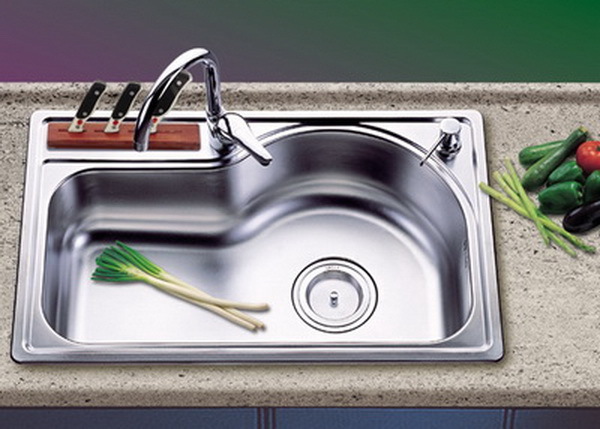 Stainless steel sinks are very popular in today’s kitchens and can adapt to either a traditional or a contemporary style. Not all stainless steel kitchen sinks are created equal however, and there are certain things to look out for before purchasing your sink. 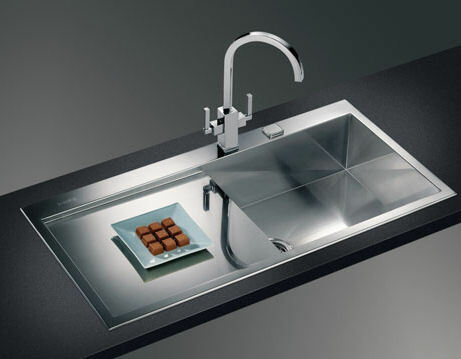 A contemporary Franke sink with drain board. First consider the bowl configurations. Do you want to have a single bowl or more than one bowl? If you choose more than one bowl, the bowls can be the same or a different size from each other. Consider if you want the larger bowl to be on the right or left hand side. A single bowl configuration (jogiaimage.com) The type of faucet you will be using is also an important consideration and the sink needs to have the number of holes and the distance of the holes accordingly. Stainless steel materials have different qualities. The gauge, which refers to the thickness, is an important aspect. The lower the number of the gauge, the thicker the material. 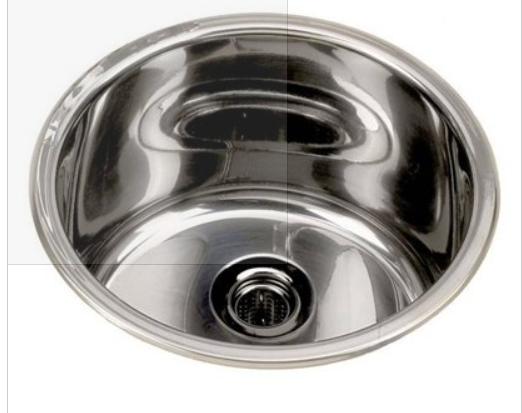 Generally a 22 gauge is the recommended minimum gauge, but a 20 or 18 gauge sink would be more durable. Other options worth considering are sound insulations and coatings. These options reduce the tinny sound when working in the sink and the coating prevents condensation underneath, which could potentially lead to moisture problems in the cabinet underneath. 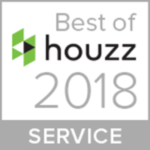 Several finishes that are available are: high polish, which is smooth and more mirror like, where a brushed finish is duller and has a more frosted appearance. There are also different color variations, depending on the manufacturer. 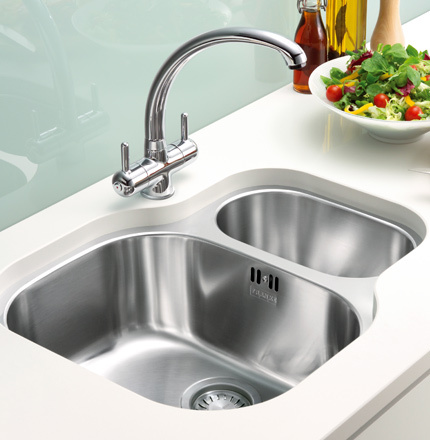 Polished Finish &nbsp; Here are the pros and cons for choosing a stainless sink. First the pros: The sinks are durable and a quality sink should last a very long time. 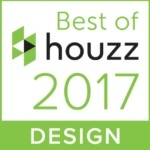 They tend to be more affordable, have a timeless look, match popular stainless steel appliances, and are easy to clean. Since they are non-porous, they are more sanitary, and have a bigger bowl capacity. Now some of the cons: The sinks are not immune to scratches and abrasive cleaning pads should be avoided. However, these scratches will blend over time to create a unique finish. Stainless steel generally does not stain, except for water stains, but needs to be polished frequently to keep the material looking like new. Water stains, if not addressed could make them look dingy. Using specialty stainless steel cleaners like Flitz or Bar Keepers Friend is recommended. Soft Scrub or glass cook top cleaners can be used as well. Personally, I like to polish my sink with a dry microfiber cloth after cleaning it to bring out the shine. An undermount double bowl sink.